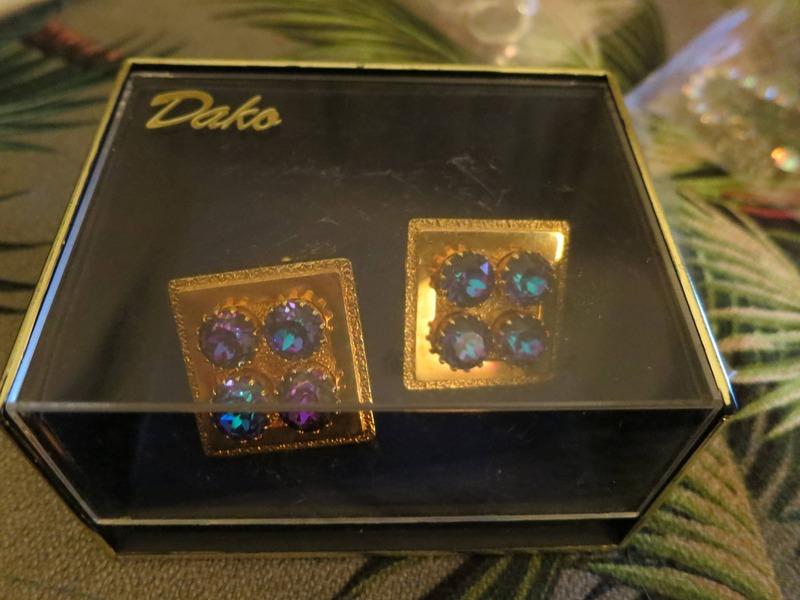 A fabulous vintage DAKO goldtone pair of metal cufflinks. 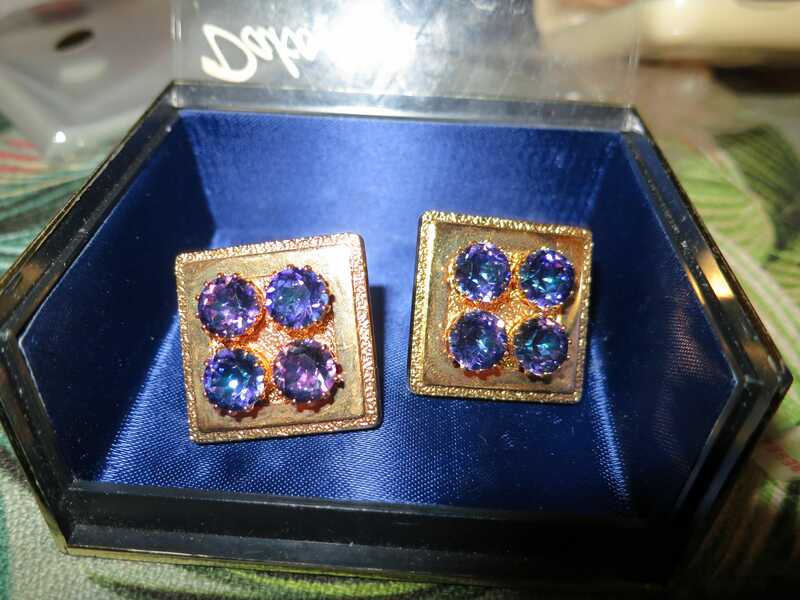 Each piece is adorned with a gorgeous shimmering vivid purple art glass rivoli stones. 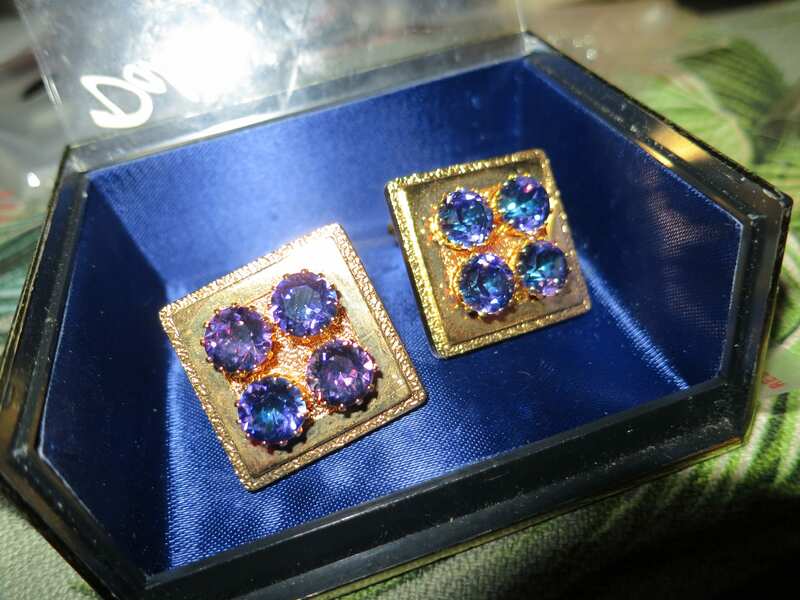 The stones are faceted and emit wonderful iridescent colours in accordance with the light. 2.5 cms square across. 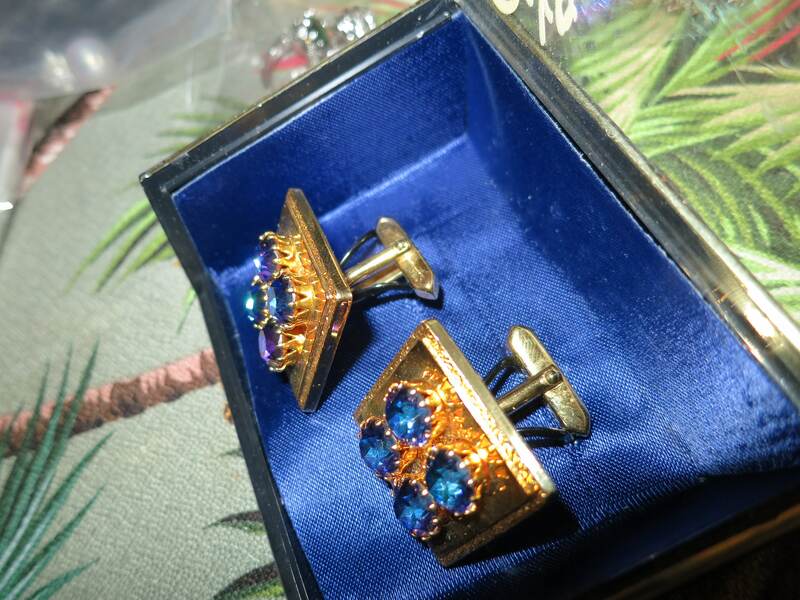 Gorgeous quality cufflinks. 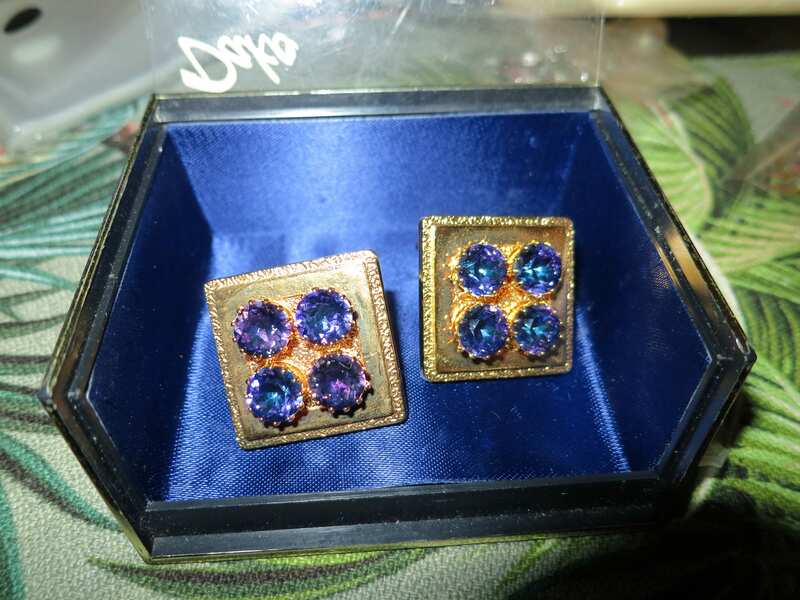 Comes in original box.